Should You Worry About Vitamin D Toxicity? Everywhere we turn, we hear about the merits of supplementing with vitamin D, particularly when the sun disappears during long winter months. Vitamin D supplementation has been positively correlated with the support of the immune system, and cardiovascular and bone health. However, oftentimes vitamin D supplementation is patient driven, and not directly prescribed and monitored by physicians. With this rise in interest in vitamin D supplementation, is there reason to be concerned about fat-soluble vitamin toxicity with vitamin D? A recently published 16-year retrospective study looked at serum/plasma 25(OH)D concentrations of over 73,000 patients to determine if anyone showed signs of vitamin D toxicity. 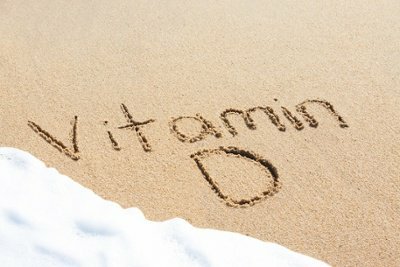 The results showed that most patients tested had concentrations below 80 ng per mL, considered the upper limit of an elevated serum level of vitamin D. And among the patients with elevated 25(OH)D levels greater than 120 ng per mL, only 4 showed symptoms of vitamin D toxicity, which may include nausea, abdominal pain or severe constipation. They concluded that symptomatic vitamin D toxicity is uncommon, except in a few rare cases in children where “dropperfuls” versus “drops” of a liquid formulations were given. Here at IPM we regularly test our patients’ 25(OH)D levels using a simple in-house laboratory test. If you would like to know your vitamin D status, or if you are concerned you may be taking too much vitamin D, please check with your doctor.